Successful competitive tracking requires the development of a large number of skills on the part of both the dog and the handler. A dog comes equipped with fabulous scenting abilities but must learn to follow a track in many types of weather, over a variety of surfaces, while encountering all sorts of distractions. A handler must learn how to read his dog, know when to stop and let his dog get back on track, and keep his dog motivated. Author Ed Presnall has developed his Component Training� method to help a tracking team break down the dozens of challenges they will face in training in order to achieve the coveted Tracking Dog Excellent title. � To watch for �something different,� the subtle clues your dog gives you while tracking, so you can react in a way to help your dog. � All of the rules and regulations you need to know in order to compete in TDX. � Specific training plans for start, obstacle and transition components you will encounter in TDX. � To not be the �dope on a rope,� but rather an active partner with your dog while tracking. � What to expect when encountering different types of ground cover and weather. 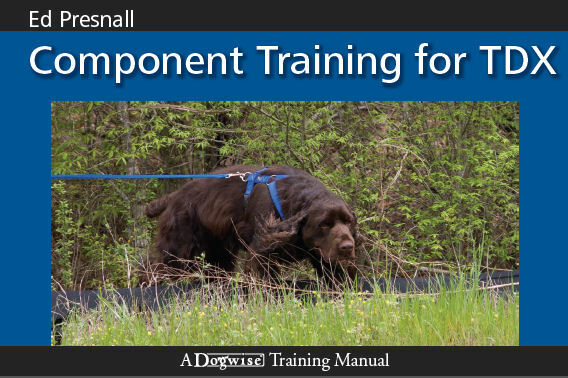 Ed Presnall is the author of Mastering Variable Surface Tracking: The Component Training Approach and 8 other books, creator of the Component Training� method, founder of Camp Pawmark, The Ultimate Tracking Experience� and a tracking judge for all levels. He lives with his dogs in Kerrville, Texas.